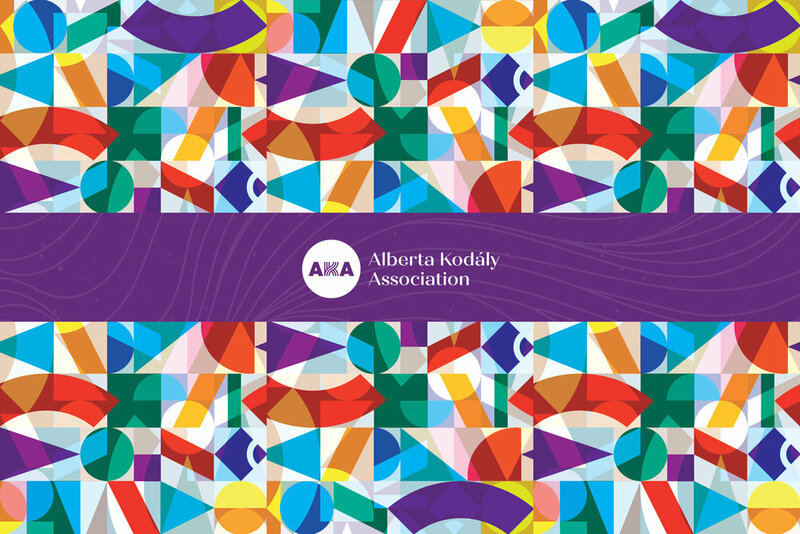 THE ALBERTA KODÁLY ASSOCIATION (AKA) was started by Alberta music educators who follow the teachings of Hungarian composer and music educator; Zoltán Kodály ("koh - dye"). The AKA provides professional development support and training for music teachers. Founded in 1983, the Alberta Kodaly Association has advocated quality music education through teacher training, professional development and the publication of our journal, the Ephatha. Both founders, Sr. Therese Potvin and Lois Choksy, remain lifetime members of the AKA. As a part of the Kodály Levels programs at the U of A, the AKA is proud to present a full day workshop, Wednesday July 17th, 2019, on First Nations Music in a Kodály Context presented by Sherryl Sewepagaham. This workshop is free for AKA members, but you must be a member to attend! Please register in advance. Thank you! You must be a member of the AKA to attend this workshop. Please check to make sure that you are a current member before attending. More details will be sent to the e-mail address you have supplied when they are known. Two scholarships of $300 each will be offered for students taking Level 1 or 2 in Alberta this summer. Deadline is June 1st, 2019. Forward your completed application to: Angela McKeown at amckeown@ualberta.ca. Funds will be provided upon the receipt of confirmation of completion of the program. This confirmation must be received by Angela McKeown within 30 days of completion of the program. Lois Choksy: "Teacher of Teachers"
excerpted from "Teacher of Teachers: Essays in Honour of Lois Choksy"
I met Lois Choksy apropos of the implementation of Kodály's pedagogical principles in the teaching of music. As she wrote in her article in Reflections on Kodály (edited by Lászlo Vikár, International Kodály Society, Budapest 1985), she first heard of the practical application of Kodály's ideas at the Peabody Conservatory of Music in Baltimore. The one-week course was taught by Katinka Dániel. It was she who encouraged Lois to come to Hungary, the native land of the method, to improve her knowledge of it. As the artistic director of the Esztergom Summer University, I first met Lois Choksy at that university in 1968. The two-week course of lectures, demonstrations, and concerts highlighted the Kodály method. I was immediately taken by her extraordinary, impulsive teaching personality and her responsiveness and sensitivity to all that was good and new. She was not devoid of gaiety, and showed signs of a highly promising professional career. I suggested that she should replace the one or two-week courses with a whole academic year spent in Hungary. She took my advice and in 1970, armed with the necessary knowledge of Hungarian, she started a year with the Hungarian children. As she herself later admitted, she learned together with the children of the elementary school that specialized in music and signing, and gradually Kodály's ideas became part of her life. In the intervals of the conference, I read the manuscript that Lois Choksy was preparing. The author had traveled from Baltimore to meet me and take part in the conference with me. She had written her work based on her one year stay in Hungary, her great experience at local practice, and her long service as a music supervisor in the schools. Later this book was published in the United States by Prentice-Hall with my preface under the title The Kodály Method. When Lois was in Hungary (1970-71), she made her school visits in the company of Sister Mary Alice Rein, a teacher at the Holy Names College of Oakland, who was on scholarship here. Their relationship was so fruitful that a number of joint undertakings evolved from it. One such venture was the highly successful First International Kodály Symposium held in 1973 in Oakland. Then, in 1974 Holy Names College launched the four-year San Jose Project sponsored by the Ford Foundation. This offered Lois the first real opportunity to demonstrate her talent in the Kodály Method and put into practice what she had written down so well in her book. On 19th and 20th March, 1974, I was the guest of school music supervisor, Lois Choksy, in Baltimore, Maryland. She had spent the academic year of 1970/71 in Hungary and was busy organizing the American Kodály Society. During my stay in Baltimore, I visited the school she was teaching in and saw for myself her excellent teaching and the pupils' fine achievement. I could hear the children perform some Kodály Bicinia and had a glimpse of the high esteem the music teacher and her colleagues were held in by the parents, the school director and the board. While I was there, Lois threw a party at her home for the singing teachers, inspectors and school directors of the district. Some thirty turned up and all talked in highly appreciative terms about Hungarian music education and its influence felt in the entire school district after Lois' study trip to Hungary. From Baltimore, I traveled with Lois Choksy and some of the American singing teachers to Los Angeles where, in Anaheim, the annual MENC conference was to be staged. The day after my arrival, the American teachers who had taken part in the Oakland symposium held a meeting and decided to set up a local Kodály Society next to the International Kodály Society planned and already established. At this meeting, and at every further discussion, Dr. Alexander Ringer, Mary Alice Hem, Lois Choksy and the organizers of the Oakland symposium, were the most outspoken. By the end of the MENC conference, the finite form of the American Kodály Society (OAKE) had been worked out. It must be added that the organizing chairperson of the Society was none other than Lois Choksy. After the termination of the San Jose Project, I heard again from Lois Choksy, this time from Canada. She had become a lecturer at the University of Calgary. She built up her work step by step, until she reached the highest level. Upon her friendly invitation, I visited her at the university in March, 1982 and saw for myself what excellent efforts she was making. She complemented her work in practice with theoretical writings, producing special articles and books which all had a positive reception. The acme of her Calgary work, however, was marked by the International Kodály Symposium in August 1991. The international public was fascinated by the singular, organizational work done by Lois and her team, both in terms of form, and content, making the event uniquely outstanding in the history of international Kodály symposia. Just like in a good movie or novel where at a certain point in the story all the personae appear again, all the participants of the first Oakland symposium of 1973 and founders of the International Kodály Society embraced yet again in Calgary in August 1991. I have met Lois at several other Kodály symposia and conferences, but the peak was certainly the Calgary symposium. That was where the high quality of her indefatigable and persistent work, and the cooperation of her many devoted colleagues was made completely clear. That symposium is undoubtedly a pinnacle in musicological terms as well in the history of the International Kodály Society. This has been a personal history, in a poppy-seed shell. Thanks to Lois for all the untiring work she has been putting out for the common cause of us all! After all one can live without music. There is a way even across the desert. But we, who are working that every child should get the key to good music, and with it a talisman against bad music, we don't want them to walk their path of life like those wandering through the desert but like those passing through blooming flower gardens. Sister Therese Potvin: "Portrait of a Founder"
Sister Therese has always remained true to the philosophy that music is one of the most important and enriching gifts that we can develop within our children. Moreover, she believes that "all the music in the world springs from within the soul. The child is himself a living musical instrument, best expressed through song and movement." In a recent interview with the Western Catholic Reporter, Sister Potvin explained that a child doesn't have to be "talented" or from a wealthy home to create or appreciate music. She explained that "music is for everyone and it stays with us for life." Sister Potvin's profound conviction that music is a universal gift that unites us all has evolved over several decades through her work in music education. A native Edmontonian, Sister Potvin grew up in the midst of a large family. She attended St. Francis of Assisi School before pursuing high school and undergraduate bilingual studies at l'Academie Assomption and the University of Laval, Quebec. She has taught kindergarten, elementary, and secondary studies throughout Ontario, Saskatchewan, and Alberta, and has spent the final 10 years of her career as a classroom teacher with Edmonton Catholic Schools. In addition to her work as a teacher, Sister Potvin has been an important leader in establishing vehicles for the promotion of music education. In 1963, she founded l'Alliance Chorale Alberta, to support the development of French language choirs in Alberta and surrounding provinces. She herself has also directed many school and community adult and children's choirs. Realizing the power of Zoltán Kodály's philosophy and pedagogical approach has taken Sister Potvin in some very interesting directions over the years. Sr. Potvin has learned first hand the nuances of the Kodály method through her professional development experiences in Hungary, both in Esztergom and at the Zoltán Kodály Pedagogical Institute of Music in Kecskemet. As a result of these unique and outstanding experiences, she has kept in constant contact with students and young teachers, encouraging all those she has found to be apt or interested in the field. In 1983, Sr. Potvin co-founded the Alberta Kodály Association in conjunction with her two terms of service as a Council Member of the Kodály Society of Canada. Instrumental in assisting and promoting promising young music educators, Sister Potvin has been a prominent figure over the years at the Alberta Hungarian Cultural Society's annual Csardás Ball. The Hungarian Cultural Society offers generous scholarships to promote Kodály music education to young Albertans. Sister Potvin has been directly involved in helping some 21 students obtain scholarships from various sources to attend programs at the Kecskemet-based Kodály Institute, where they have been able to benefit from the wisdom and guidance of some of the world's most renowned music educators. In 1977, Sister Therese was invited by the Dean of the Faculte Saint-Jean to develop and introduce a three year, music education program - both in musicianship and pedagogy - in the French language. Sister Potvin later went on to teach at Faculte Saint-Jean from 1977 through 1991. Always dedicated to improving the resources which teachers and students use to discover and create music, Sr. Potvin was an early pioneer in developing classroom music. Building on early work which she competed on her own while teaching at J.J. Picard school, she was commissioned in 1984 by the Language Services Branch at Alberta Education to lead the development process for Alberta's French music education curriculum. In addition to a set of ministerial approved curriculum guides now widely available throughout Alberta, the curriculum development project also resulted in a series of music education videos as part of a pilot project with Grandin Elementary School in Edmonton. As a result of this extensive curriculum development process, it soon became apparent that appropriate pedagogical resources for teaching music in French were few and scarce. In the late 1980s, in a collaborative arrangement between Alberta Education, Montreal-based educational publisher Guerin, and her religious order, Soeurs de l'Assomption de la Sainte Vierge, the first of a series of classroom music education resources were commissioned - Mes chansons, ma musique. These first two books, published in 1991, consisted of teacher guides and student classroom books for Grades 1 - 3. Sister Potvin's vision was to create a series of sequential, progressive educational resources destined to permit all children, irrespective of their musical background, to read music notation just as simply as they read stories in a book. Serie Via Musica was born. From the outset, Sister Potvin believed that a systematic and progressive approach was most effective way to introduce students to the world of music. Her particular pedagogical approach starts with the simplicity of two-note songs, progressing gradually through more complex songs, finally covering all major and minor modes. Her typically Kodalian developmental approach enables students to master the very simple language of music notation and master the literacy of music without recourse to instruments. Recognizing the need to become more innovative and responsive to the demand of financial pressures placed on Alberta schools in the mid 1990s, the format of the next two titles which Sister Potvin authored - Tes chansons, ta musique, took on a new look. Tes chansons, ta musique C & D are titles which have been prepared primarily for Alberta's Grade 4 - 6 music education curriculum using a formatting process called Blackline Master Format. The Blackline Master Format of Tes chansons, ta musique, enables schools to copy song materials for use in the classroom, as well as serving as a teachers' guide in one resource. With this formatting approach, teachers are able to make photocopied classroom sets and overheads of their favorite songs, dances, and rounds from the texts without fear of illegal copyright violation. This formattting approach also dramatically reduces the cost for individual schools in making valuable music education resources readily available to teachers and students. With the 1997 release of Tes chansons, ta musique, Sister Potvin continues to develop the Serie Via Musica and is presently in the process of preparing volumes E & F. Volume E will consist of rounds and canons, and Volume F will be a collection of 2-part French songs to support choral music development. Also planned are volume G, 3-part pieces, and volume H, an introduction to instrumental accompaniment including handbells, percussion instruments and recorders. As one of Canada's senior and most experienced French music educators, Sr. Potvin continues to receive offers to make presentations to emerging generations of music educators. She has presented on music education topics to over 110 conferences and workshops in Canada, United States, Japan, England, and Belgium over the last several decades. Real art is one of the most powerful forces in the rise of mankind and (s)he who renders it accessible to as many people as possible is a benefactor of society. Sister Potvin is indeed a great benefactor to us all.